Two decades of cross-cultural research on the emotions have produced a wealth of information concerning cultural similarities and differences in the communication of emotion. Still, gaps in our knowledge remain. This article presents a theoretical framework that predicts cultural differences in display rules according to cultural differences in individualism-collectivism (I-C) and power distance (PD; Hofstede, 1980, 1983), and the social distinctions ingroups-outgroups and status. The model was tested using an American-Japanese comparison, where subjects in both cultures rated the appropriateness of the six universal facial expressions of emotion in eight different social situations. 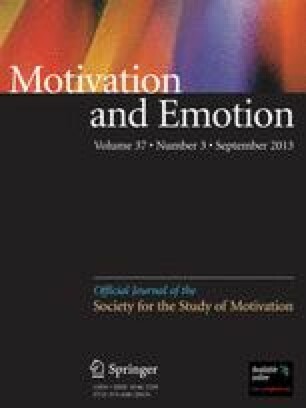 The findings were generally supportive of the theoretical model, and argue for the joint consideration of display rules and actual emotional behaviors in cross-cultural research. This research was supported in part by a research grant from the National Institute of Mental Health (MH 42749-01) and from a faculty research support grant from the Wright Institute. I would like to thank Paul Ekman and Wallace Friesen for their aid in the production of the stimuli used in this study, and for their comments on an earlier draft of this manuscript; Tsutomu Kudoh, for his aid in the collection of the Japanese data; Valerie Hearn, for her aid in collection of the American data; Ken Kokka for his editorial assistance; and Masami Kobayashi, Bill Roberts, Mija Lee, Deborah Krupp, and Erika Maniatis for their aid in my general research program.